If it’s been a while since you’ve visited Chattanooga—or if you’ve never been—now is definitely the time to visit this scenic city along the Tennessee River in the far southeast corner of the Volunteer State. Our top five reasons for a return visit to Chattanooga, which are listed below, can be the foundation of a long weekend, whether you’re looking for a couple’s escape, a meet-up with the girls or a short family getaway. 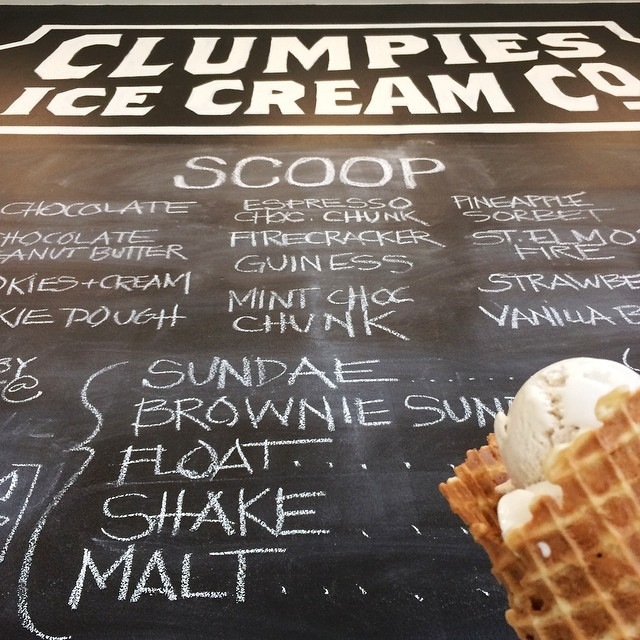 Here’s what to look for on a weekend trip to Chattanooga. Outside magazine just named Chattanooga the 2015 Best Town Ever. It’s the second time the city has won this distinction; the other was in 2011, the first year of the competition. Readers (and, admittedly, fans of the nominated towns) voted on 63 towns across the country that offer great access to trails and public lands and also offer thriving restaurants and neighborhoods. And it’s no wonder that Chattanooga has twice won the award; the city and surrounding area offer some of the top-rated whitewater rafting in the South on the Ocoee River. SUPping (aka stand-up paddleboarding) is now a huge draw in downtown Chattanooga, with specialty outfitters, including L2, sending SUPers and kayakers out onto the flat waters of the Tennessee River, as well as more remote areas. There are miles and miles of hiking and biking trails throughout the city, our favorite being the stretch along the river through downtown, across the Walnut Street pedestrian bridge to the North Shore neighborhood, where one can stop for coffee or a libation at one of the quirky bars just over the bridge. The city’s Outdoor Chattanooga website is the ultimate resource for outdoor adventures, trails, rock climbing experiences and more. If you want to bike but don’t want to haul your bicycles from home, the new Bike Chattanooga program offers 33 rental bike stations throughout the city where you can swipe a card and instantly rent a bike. Chattanooga may not be the first Southern city one thinks of when it comes to shopping, but the revitalization of the Warehouse Row area is bringing a renaissance of sorts to the shopping scene. 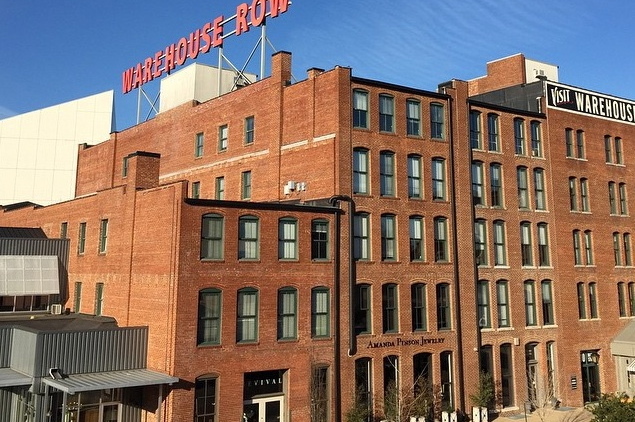 The historic buildings that make up Warehouse Row reflect Chattanooga’s industrial past at the turn of the 1900s, and occupy the land previously used as a fort during the Civil War. Warehouse Row is also home to Amanda Pinson, which offers a curated selection of jewelry from select designers, including Pomellato, Elizabeth Locke and Yossi Harari. These investment pieces are also statement pieces that combine classic design with elegant lines. 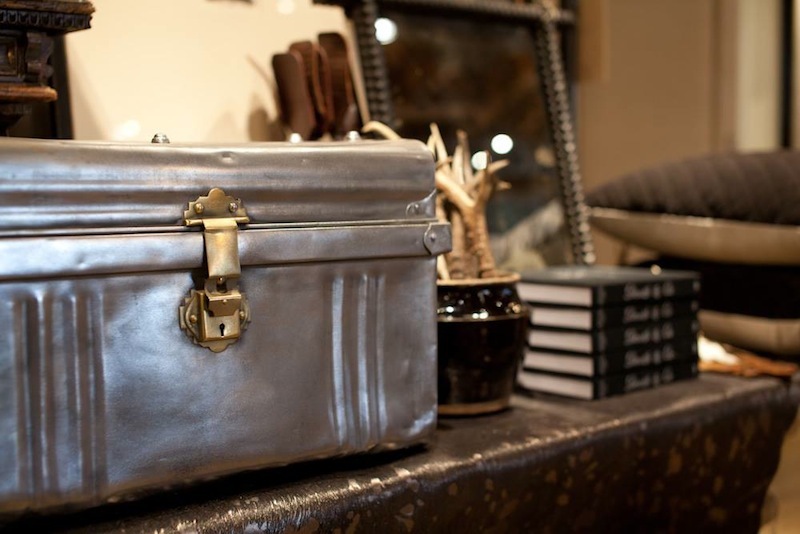 Adjacent to Amanda Pinson, 108 offers accessories—handbags, bags and wraps—to complement the jewelry selection. The Cosmetic Market is a wonderland of lush skin care, bath and body, and cosmetic lines that make us feel like a kid in a candy store. During happy hour. With an excellent bartender. Yes, we are mixing our metaphors, but you get the point: There’s so much beauty awesomeness that you may become overwhelmed. Our advice is to bring a list and reward yourself with a treat from the travel-size section. 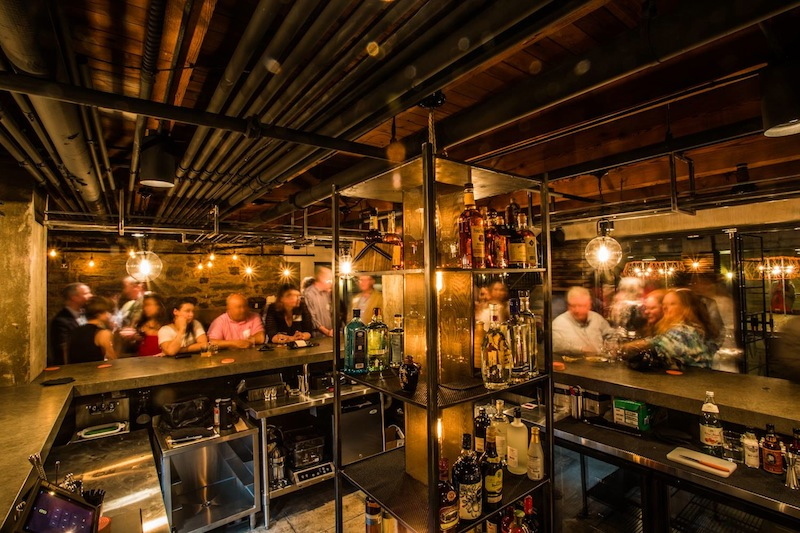 When you wrap up your shopping, try one of Warehouse Row’s eateries for lunch or dinner. Public House offers comfort food with a twist: fried chicken livers or roasted quail breasts atop creamy grits, traditional fried chicken or a veggie plate. Our must-eat appetizer combines three of our very favorite individual foods ever: grilled sourdough bread, fried pickles and pimento cheese. Yum! And the recently opened Two Ten Jack (sister to the East Nashville noodle house of the same name) is a Japanese-inspired pub with sushi, yakitori and ramen dishes that capture the essence of the South through its use of locally sourced ingredients. 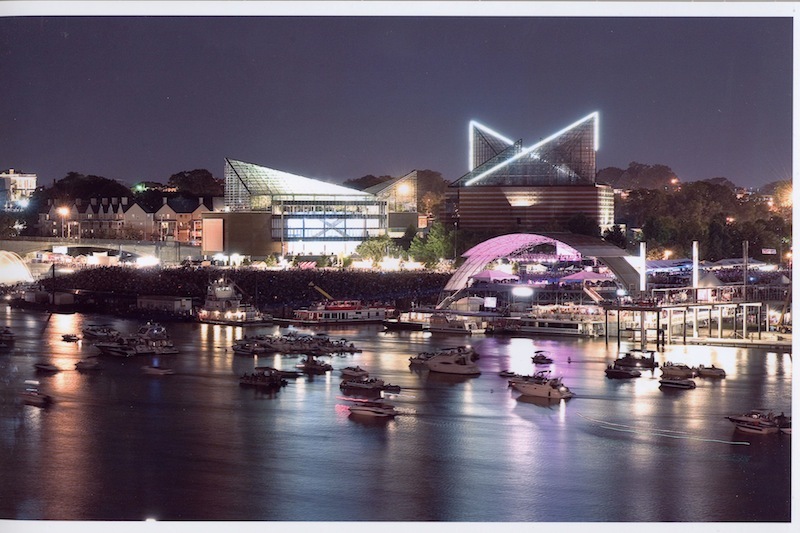 With a gorgeous riverfront and temperate weather for much of the year, Chattanooga is made for festivals. From the weeklong Riverbend Festival that takes place right on the waterfront with five stages, more than 100 bands, a children’s village, 5K and marketplace to RiverRocks, the multiweekend event in October that’s all about the outdoor sports, from kayaking to rock climbing, rowing and trail running, there’s rarely a dull weekend in the Scenic City. Wine Over Water may just be our favorite festival. How could it not be, when more than 100 wineries offer their vintages up in wine tastings that take place on the pedestrian bridge over the Tennessee River? Chattanooga’s riverfront revitalization started in the 1990s, and there’s been no slowing down when it comes to the offerings found there. 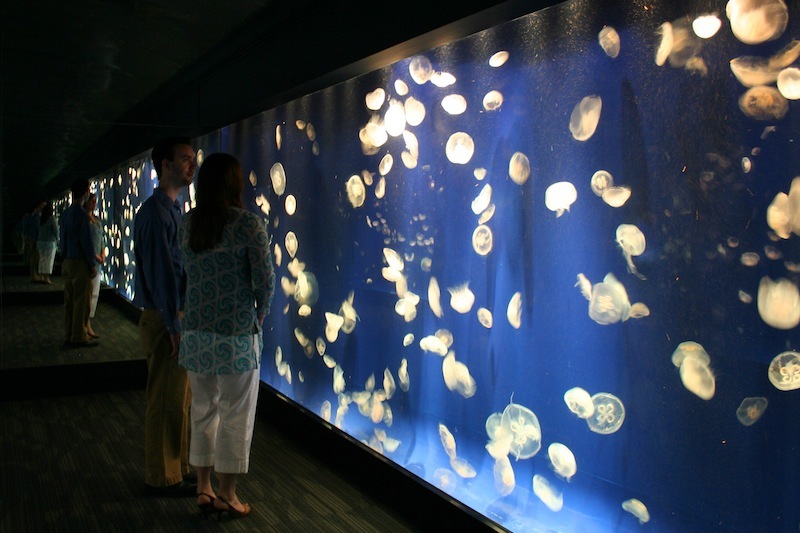 The Tennessee Aquarium—two gorgeous buildings featuring extensive freshwater and saltwater exhibits—is still the focal point, especially with a new alligator exhibit, but there’s so much more to explore. Residential development near the river has brought a new sense of neighborhood to the area, especially from the Walnut Street pedestrian bridge to the Bluff View Art District. In that area, you can explore the Hunter Museum, home to the South’s largest collection of American art, or wander through the galleries and restaurants of the arts district. Head over to the North Shore (we’d suggest walking over the river via the pedestrian bridge) to jump on the historic carousel in Coolidge Park, browse through the vintage clothing, antiques, and collectibles or simply indulge in a scoop of Clumpies ice cream. Go ahead! You’ll walk it off when you hoof it back over the bridge. 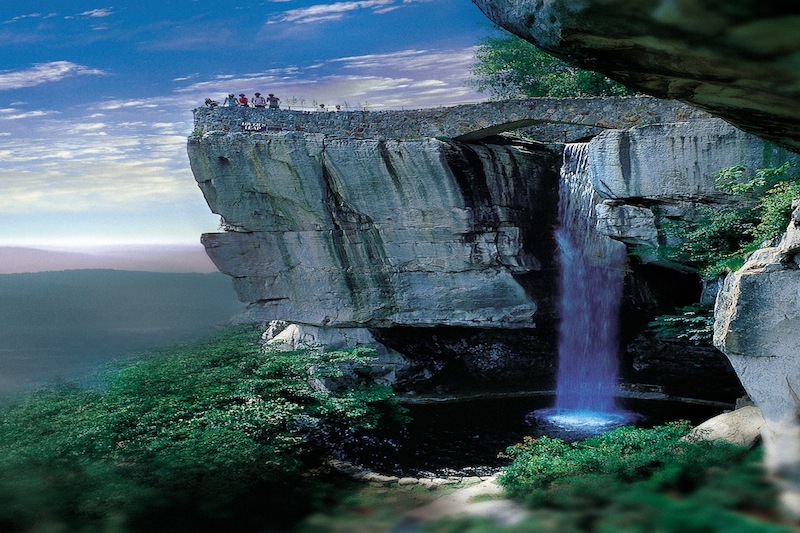 So maybe visiting attractions that have a slight cheese factor isn’t your thing, but we do love two of the best-known, iconic American attractions that happen to be in Chattanooga: Rock City and Ruby Falls. Have you ever seen Rock City or Ruby Falls, like vintage barn signs implored travelers to do back in the day? If not, you should. They are both worth the time. Rock City is surprisingly serene, with little pathways cut through the rock, a swinging bridge, the dramatic Lover’s Leap … it’s simply a beautiful way to spend a few hours. And we adore Ruby Falls for both the long trek to get to the 145-foot waterfall within Lookout Mountain AND for its truly dramatic beauty. See there? 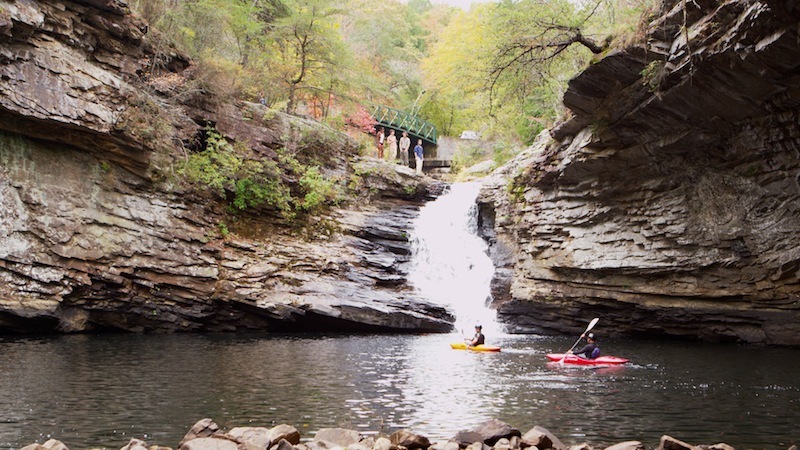 Plenty of reasons to visit Chattanooga… it really is the perfect place to escape to for a few days! View online here or as PDF.